Livingstone Island, named after a Scottish explorer, David Livingstone, who was the first European to set foot on this beautiful piece of land, is a totally thrilling, unique and enchanting location. There are not many places on this planet more suited for an exclusive ceremony; no more than 16 guests are allowed there at the same time making it private and remotely wonderful. Hop onboard Tongabezi Safari Lodge’s boat for a trip down to the small, stunning island to say the two magical words to the love of your life. But how would you know if an African wedding is a little too adventurous for you? Africa is best suited as a wedding destination for those who are explorers at heart and not afraid of new, thrilling experiences. If you worry about the small details, enjoy micro managing and would not appreciate deviating from the traditional path of a wedding ceremony, an African wedding may not be for you. 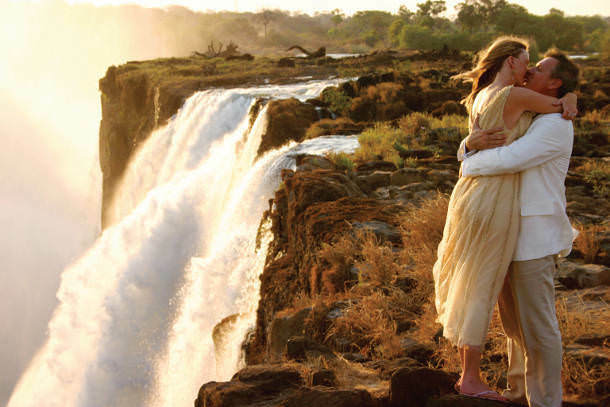 However, if you love a bit of an adventure, place emphasis on the setting and location of your ceremony and want your wedding to be utterly unique, there will not be a better way to celebrate your love story than by tying the knot by the thundering waters of the majestic Victoria Falls. The Tongabezi Lodge team is ready to lavish attention on every tailor made detail. 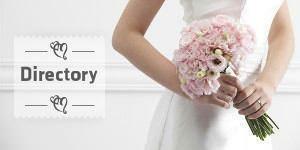 Your wedding day will begin with a registry ceremony at Livingstone City offices, followed by a unique blessing from a local pastor. We cater for small or large groups and can arrange suitable accommodation for all of your guests in the local area. Expert staff at Tongabezi will take care of all the arrangements including the legalities required by the registry office (yes a Zambian marriage is legal and accepted throughout the world). We arrange a priest for the blessing, the order of service (if required), plus flowers, menus, cakes, guest gifts, the choir, professional photography and other local entertainment such as a DJ or local dancers.